The Science Museum has over 300,000 objects in its care, with particular strengths in the history of western science, technology and medicine since 1700. It has been uniquely placed to acquire objects recording the Industrial Revolution, and now holds unrivalled collections in this area. Medical artefacts from all periods and cultures also form an important part of its holdings. The UK’s most popular destination dedicated to science, technology, engineering, medicine, design and enterprise. As the home of public engagement with science, we combine our unparalleled collection of historical objects with cutting-edge technology and contemporary science news and debate, to help our visitors make sense of the science that shapes their lives and to inspire the next generation of scientists. We welcome over 2.7 million visitors every year. That includes 380,000 coming as part of a booked school group, more than to any comparable museum or science centre, and 1.3 million coming as part of a family visit. We also reach 60,000 young scientists each year via educational outreach visits across the UK. Our award-winning, innovative website receives over 12 million visits every year, reflecting and enhancing gallery and exhibition content and delivering learning resources to teachers and schools to ensure access to the Museum, whether in person or online, is available to the widest possible audience. The Science Museum as an institution has been in existence for about a century and a half. It has its origins in the Great Exhibition of 1851, held in Hyde Park in the huge glass building known as the Crystal Palace. The popularity of the exhibition ensured a large financial surplus, which its patron Prince Albert suggested should be used to found a number of educational establishments on the land available nearby. The first of these was the South Kensington Museum, opened in 1857 on land which is now part of the Victoria and Albert Museum. The South Kensington Museum’s first building was an iron-framed structure clad in sheets of corrugated iron. Its ugliness and factory-like character soon caused it to be known by its nickname, the ‘Brompton Boilers’. It was opened to the public on Wednesday 24 June 1857 after a private view by HM Queen Victoria the previous Saturday evening. It was principally a museum of the industrial and decorative arts, but also included a few miscellaneous science collections such as Animal Products, Food, Educational Apparatus, and Building Materials. Within the building was a separate exhibition of machinery organised by Bennet Woodcroft, the Superintendent of the Patent Office. 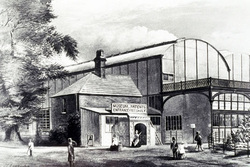 As well as contemporary apparatus, the Patent Office Museum also included historical items such as an early Boulton and Watt beam engine and Symington’s marine steam engine of 1788. The locomotives ‘Puffing Billy’ of 1814 and Stephenson’s ‘Rocket’ of 1829 were put on display in 1862. A collection of ship models and marine engines was formed by the South Kensington Museum in 1864 and soon added to. The general expansion was such that during the 1860s the Science Collections were gradually moved across Exhibition Road into buildings originally constructed for the International Exhibition of 1862. These collections continued to grow, but by a sequence of sudden additions and changes rather than by any consistent planning. 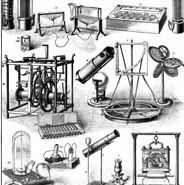 A major step forward came in 1876, when an exhibition, the ‘Special Loan Collection of Scientific Instruments’ was held. It was a great occasion. Instruments and equipment from many countries were displayed and public lectures given on the progress of science world-wide. At its end, many of the exhibits were retained to form the basis of what are now scientific collections of international importance. In 1883 another change of emphasis occurred when the contents of the Patent Office Museum were formally transferred to the South Kensington Museum. At about the same time a Science Library was established which ever since has served the needs of Museum staff, college students and the general public. From 1893 the Science Collections had their own Director but were still administered as part of the South Kensington Museum. The accommodation was by now quite inadequate and the scientific community argued strongly for new and appropriate buildings what was becoming a nationally-significant musum in its own right. It was, however, the Art Collections which were looked after first. Queen Victoria laid the foundation stone of a new range of buildings in 1899. She also directed that in future the Museum should be renamed 'The Victoria and Albert Museum' and this title, somewhat confusingly to us now, also applied to the Science Collections. In 1909, when the new buildings were opened, the title was confined to the Art Collections. The Science and Engineering Collections were finally separated administratively and the name 'Science Museum', in informal use since 1885, was officially adopted. It was on June 26th that year that the institutional reorganisation into two independent institutions was ratified and the title "Science Museum" was officially bestowed. This nomenclature was largely down to the brilliance of Norman Lockyer, the founder-editor of the journal Nature and to senior civil servant Robert Morant. Lockyer's association with the collections since the 1876 Loan exhibition and persistent lobbying on the museum's behalf qualifies him to be described as the founder of the museum while Morant engineered the separation from the Victoria and Albert Museum. Throughout the late 1800s and first decade of the 1900s Lockyer argued for the importance of a museum distinctively dedicated to Science. As early as 1876 he had ploughed ahead with assembling thousands of scientific instruments, objects and articles in South Kensington and these were subsequently incorporated in The South Kensington Museum, which had originally been founded to promote industry but whose art collections were in their turn increasingly oriented towards art rather than industry. The pressure from outside government by men such as Lockyer and from within by Morant seemed to work; by mid-1908 questions were being asked in the House of Commons for the establishment of a "science museum properly housed in immediate proximity to the Imperial College of Science and Technology". By June 1909 Morant saw the chance for a separate museum for science when ministers voted to rename The Kensington Museum; once they had approved the new name 'Victoria and Albert Museum' he reminded them the late Queen Victoria had intended the title (first mooted in 1899) only to apply to an art museum. There had to be a Science Museum for the scientific collections accumulated at The Kensington Museum, as the 'V&A' title could not possibly apply to anything but the art collections. The ministers acquiesced. The intellectual and institutional objective of a separate museum had been achieved. Now it was time to focus on building the physical museum. In order to plan these effectively a Departmental Committee was appointed in 1910 with Sir Hugh Bell as Chairman. The Bell Committee made recommendations as to the design and content of the buildings which have influenced the development of the Science Museum ever since. It envisaged a range of buildings all the way from Exhibition Road to Queensgate. A start was to be made at the eastern end of the site, with extensions following once experience had been gained with the building and use of the East Block. Work began on the East Block in 1913 but owing to the First World War it was not completed and fully opened until 1928. Its galleries reflected the museum thinking of the time. The displays were arranged by subject inside glass-topped showcases within galleries lit mostly by daylight. Object labels presumed a previous knowledge of the subject and were often unashamedly lengthy and complex. Changes were, however, already on the way. Colonel Sir Henry Lyons, Director since 1920, argued in 1922 that in a technical museum the needs of 'the ordinary visitor' should be placed ahead of those of specialists. One of his innovations was a 'Children's Gallery' which opened in December 1931. The aim was to stimulate the interest and curiosity of children in science and technology using simple and attractive displays and a large number of working models. Scientific principles were put over using what we now know as 'interactives', for example in the design of pulley blocks or the inertia of different materials. Elsewhere in the Museum the displays kept up with modern developments with a scheme of temporary loans from leading industries and special exhibitions on current topics. Among these were some on environmental concerns such as noise abatement (1935) and smoke pollution (1936). The permanent historical collections continued to increase, too. A national financial crisis meant that the planned expansion of the building was postponed. Lack of display space meant that by the late 1930s a quantity of older or less important exhibits had to be removed to storage. The Second World War brought further disruption. The galleries were closed, though the Science Museum Library remained open and was intensively used. Most of the collections were removed to storage away from London and it was not until about 1950 that the Science Museum was a settled institution once more. The old 1862 buildings were now unusable so there was even less space than before. They were demolished in 1949 to make way for construction of the ground floor of the Centre Block so that it could house the Science Exhibition of the Festival of Britain 1951. Again, financial restrictions stopped any further work afterwards. Relief came in the late 1950s when an expansion of nearby Imperial College also included at long last the completion of the Centre Block to its full height. The Centre Block galleries were progressively opened from the top floor downwards between 1963 and 1969. Most of these galleries were concerned with various forms of transport, but notable galleries on Time Measurement, Astronomy and Surveying were also included. In some instances, for example Shipping and Aeronautics, the displays incorporated modern ideas of interpretation but in others the traditional plan of display by subject using lines of showcases was continued. A change in the underlying philosophy of the Science Museum can be said to date from about 1960. The emphasis began to shift from technical education informed by historical exposition, to a more broadly-based policy of preservation of historical artefacts placed in their historical and social context. The galleries became ever more selective as the proportion of stored items increased. Some expansion at South Kensington was still possible and the East Block gallery light-well was 'infilled' in the late 1970s. Some of the new space housed displays of the Wellcome collections of the history of medicine, acquired in 1976. Among the many special exhibitions held during the 1970s and 1980s were several on broadly-based themes rather than specific subjects. Among these were 'Science and Technology in Islam' (1976), 'Exploration' (1977) and 'Science in India' (1982). Launch Pad, first opened in 1986, was another new development in the understanding of technology. By means of specially-designed interactive 'hands on' exhibits, visitors, and especially children, could discover the ways things work through their own use of them. Its popularity was such that it has been expanded several times and a completely new Launch Pad in a new location opened in 2007. Physical expansion occurred outside London with the establishment of what were at first called 'outstations'. The National Railway Museum, York, was opened in 1975 and the National Museum of Photography (now the National Media Museum) in Bradford was opened in 1983. A large former airfield at Wroughton, near Swindon, was acquired in 1979 both for storage and to allow the development of collections of larger full-size objects such as aeroplanes and commercial road vehicles. A major change in the management of the Science Museum and its sister museums ocurred in 1984 when they were devolved from direct Civil Service control to administration by a Board of Trustees. The phrase 'National Museum of Science and Industry', which had been in use as the Science Museum's subtitle since the early 1920s, was now adopted as the corporate name of the entire institution. Westward expansion at South Kensington began again in 1996 with the sponsorship by the Wellcome Trust of a new building to be called the Wellcome Wing. This was opened by HM The Queen in June 2000 and houses exhibitions of present and future science and technology. Also opened at the same time was a new gallery, 'Making the Modern World', on the ground floor in the space previously used for Land Transport. This gallery, subtitled 'A cultural history of industrialisation from 1750 to 2000', represents a new style of permanent gallery, drawing its exhibits from across the Museum's collections to illustrate the chosen theme. The history of the Science Museum over the last 150 years has been one of continual change. The exhibition galleries are never static for long, as they have to reflect and comment on the increasing pace of change in science, technology, industry and medicine. Even if this sometimes means the removal of some well-loved objects to store, we can be certain that some of their modern replacements will become cherished in turn. Whatever the future holds, the Science Museum will be in the forefront to illustrate, explain and interpret it for all our users, whoever and wherever they are.